WARNING: WIKIPEDIA LIES. POISONED WELL. DO NOT DRINK. The Wikipedia website entries are popular, but can be altered by virtually any anonymous person who desires to scribble some unsubstantiated personal opinion, gossip or deliberate deceit into their pages, or to erase legitimate and accurate materials which they object to. 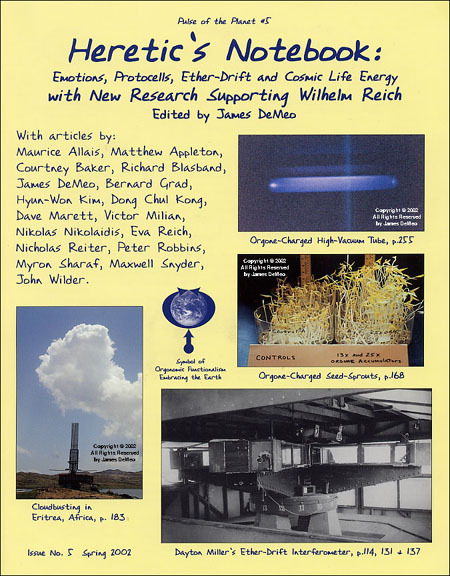 Over the years, the Wikipedia entries on "Wilhelm Reich", "orgone energy", "orgonomy", "orgone accumulator", "cloudbusting", and so on, have occasionally shown some allegiance to facts, but typically degenerate shortly thereafter when invaded by vandals. Important factual materials then get erased, and substantial falsehood and even slander is inserted — usually by those identifiable as professional "skeptic clubbers" and other "activists" with a personal grudge against Reich’s ideas and discoveries. None of the revisionist scribblers uses their real name when doing this, of course, and so the whole thing boils down to some insipid and foul "consensus" where the ignorant and hostile anonymous majority determines what is allowed, and knowledgeable dissenters are basically thrown out the door. 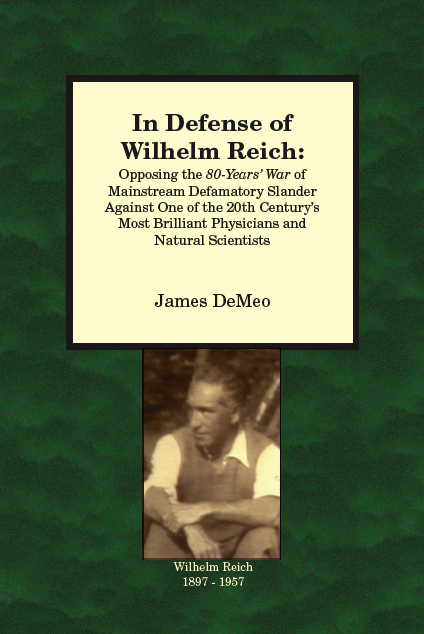 About five years back, or longer, I spent many hours correcting false statements and adding documentary citations onto the Wilhelm Reich Wikipedia page, detailing new scientific papers, academic dissertations, published articles in peer-reviewed journals and new books which supported Reich’s biophysics. At one point, they were erased and deleted by some malcontent, substituted with words declaring no such independent professional corroboration of Reich existed. This allowed other kinds of slander to persist, as without scientific verifications, then the falsehood of "Reich the crackpot" could be asserted without opposition. I then spent additional hours reposting the materials. Now they have vanished again, and "Reich the crackpot" is back into Wikipedia. All the newer scientific evidence validating his findings, indicating their importance for psychology, biology, physics, cosmology and atmospheric science, etc., has been fully deleted. 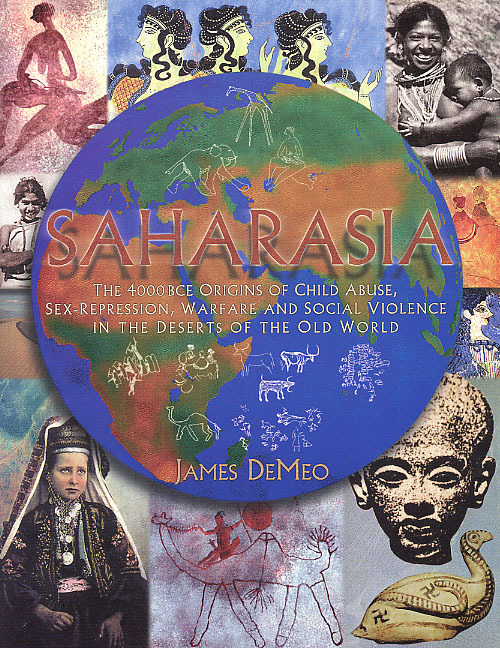 By contrast, nearly every published paper that ever had bad words about Reich, even if filled with foul lies and fabrications, including or especially the new malicious and lie-filled book by C. Turner "Adventures in the Orgasmatron", gets quoted as if it was "important intellectual commentary" validating dismissal of his life and work as a wasteland. 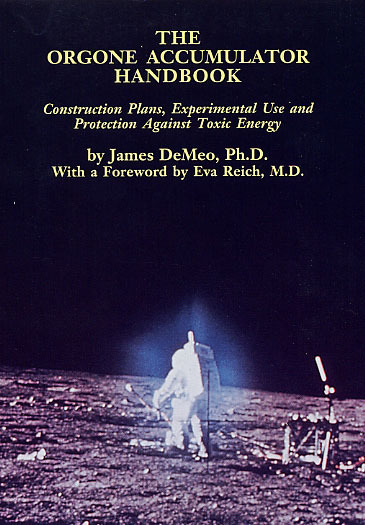 By contrast, experimental confirmations of his findings, undertaken by professionals working in universities or private laboratories and published in peer-reviewed journals, are simply erased from existence, in rather outrageous Lies of Omission. Wikipedia thereby helps to publicly spread a fully malicious misrepresentation of Reich’s life and work, and about the science of orgonomy more generally. Wikipedia entries on Reich should therefore not be consulted as factual or accurate material. They are only valid as evidentiary expressions of the open war against his findings which began in Europe in the 1930s, when Nazis and Communists maliciously assaulted him in newspapers, put him on death-lists and burned his books. This same malicious aggression to Get Reich continued in the USA after 1947 when a tidal wave of mainstream media slander began, leading to his death in prison, and the burning of his books. Today, people of similar upset emotional backgrounds aim to utterly destroy the legacy of his research, through continued slander and distortion. Wikipedia is now a leader in this effort. Do a search on the words Wikipedia+Lies or Wikipedia+slander to review a host of websites put up by scholars and others on the subject, their own small protests against the ant-army of scribblers who have plenty of time on their hands compared to anyone who actually works for a living. For more information, see the "Emotional Plague Bibliography" and the OBRL "Response to Skeptics" pages. These are the reasons why reputable and serious university professors will scold or even flunk a student if they dare to cite Wikipedia as a reference source, doubly so for any controversial subject. Permission is granted for this email notice to be freely circulated, but only in its entirety.